Professor Terry J. Lovell(Ph.D.) at Yavapai College in Prescott, Arizona explains in very clear and simple terms the incredible malfeasance of Obama in his actions in Arizona by abusing his oath of office to "protect the US from all enemies foreign and domestic". "Fawkes, it's our choices that make us who we are." MANASSAS, Va. -- A Salvadoran man who was ordered deported nearly a decade ago but never left has been charged with three counts of first-degree murder in a series of shootings and a knife attack in a Virginia suburb of Washington. Not found in the Roanoke Times or on the Major Media Networks for obvious reasons. Also not found are the hate-speech cartoons the Editors of the Roanoke Times like to publish. Don’t hold your breath waiting for a pious Editorial focused on this either. Is this the nasty behavior of the teachers of Wisconsin, or are these the animals that Obama and the DNC bussed into town? Either way, I’m sure the Editors of the Roanoke Times are proud to be their soul mates and supporters. Just more hope and change we have to endure for two more years. Roanoke Times, 2-21-11, Pg 1 & 14: Some see inequity in Va. “virtual school”. Online education companies in Va. are encouraged to partner with poor counties to boost profits. Huge headline and 100 square-inches of slant and bias against a new alternative to traditional public schools. Worry, worry, worry about the cost and profit of this new start-up experiment in offering parents an alternative to our dismal and failing public school systems, especially in “poor areas”. Apparently selected public school teachers and their Democrat fellow-traveler supporters are the “Some” in the headline. Could not find one statement about the total cost of public school (in excess of $12,000 per student per year) compared to online “virtual” schools and even more disturbing was the total absence of any data on the effectiveness or performance comparisons between the two venues in ‘poor areas’. Public school systems are not doing well and in many cases (especially in poor areas) are a total failure and disaster for all involved. During the last 10 years Virginia has spent hundreds of millions of dollars at the K12 and 2-year and 4-year schools on computer technology without any measurement or publication of the value or pay-back of this huge investment of tax-money. Books are still being purchased at great cost and teacher’s lesson plans and instruction materials are still deemed to be “personal property” and not placed in open archives, even though much of the development is at tax-payer expense. Don’t expect to see any meaningful Roanoke Times exposes about these education challenges and costs. The current mess in Wisconsin clearly demonstrates the “out of control” state of public education and the politicization of the teacher unions. Instead of encouraging inappropriate and illegal union actions, Obama should address his $14 Trillion debt and the $1.5 Trillion yearly deficit that is destroying our country and he should totally downsize the federal DOE that spends billions on worthless make-work boondoggles without any positive impact on public education in the states. Some 25,000 people filled the square in front of the Madison Wis Capitol to protest an anti-union bill. Obama, seeing on TV a large group of protesters somewhere, immediately dispatched his emissaries and PR people to support the down-trodden abused people in the streets. Then he discovered it was a union action in the US and unlike his reaction to the many TeaParty protests last year, he sent the DNC and their union organizers to Madison and then made a political public pronouncement supporting those poor abused union members and slamming the Wis Governor for trying to solve a massive budget problem. The Wis. Democrat elected legislators left town and hid; abandoning their sworn oath to fulfill their elected duties; even worse than Obama used to do by voting “Present”. GOP Gov. Scott Walker ran on a platform of addressing and solving a massive state budget deficit that must by law be closed. Unlike the US government, Wis. cannot print money. Once again Obama has shown his pro-union organizing and support in the face of massive financial chaos caused by government over committing and making deals and contracts that the taxpayers can no longer afford. Obama’s budget and words and deeds clearly demonstrate that he does not understand or does not care about the financial crisis that individuals, states and the federal government now face. And to think – he was supposed to be the smart one! After reading the Roanoke Times this AM, I tuned into the Congressional hearing on ObamaCare. Based on all the expert opinion by the Editors of the Roanoke Times I expected to see one of them testifying on behalf of their mentor, Obama. Instead I was treated to see Va AG Cuccinelli testifying. He was representing the 26 state AG’s who are successfully opposing ObamaCare in Federal Courts. Click-on to share this significant event (didn’t seem like wasted time or money to me). Feb 16, 2011 VIDEO: Va AG Cuccinelli testifying to Congress on the States appeal to the Supreme Court to declare the “individual mandate” portion of ObamaCare Unconstitutional. Roanoke Times, 2/15/11, Pg 7: GM workers to get $4,000 bonuses. Obama’s Government Motors (GM) is still in possession of millions of dollars of taxpayer “bailout” money. Until GM pays back the taxpayers, all their expenditures are deemed to be “our tax money”. The UAW has been a major part of why GM crashed. Obama gave them millions of tax-dollars to just hangout during the “Obama take-over” and now he’s giving 45,000 of them $4,000 bonuses for what? What other working people are getting tax-paid bonuses? Does this Chicago Community Organizer not understand the financial hole the country is in and that millions of people need jobs while he’s giving cake to his UAW buddies? 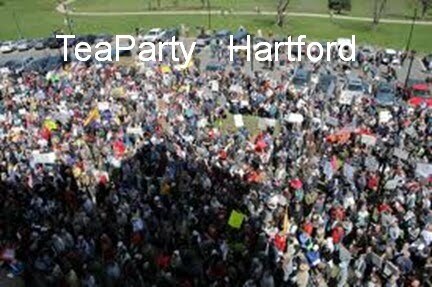 Talk about buying votes and political support with tax-dollars! How obscene is this? Just more hope and change and hypocrisy we can depend on! Not found in the Roanoke Times for obvious reasons. Would be appropriate if the Editors explained this mess to their readers. 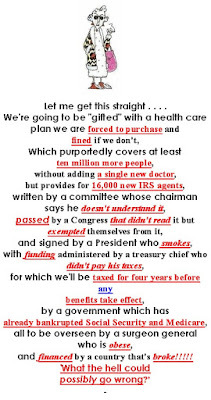 In addition to all the known issues in the incomprehensible 23,009 pages of ObamaCare as passed by the Progressive and Liberal Democrats, we now find out that the Unions (7.2% of the private work force) are getting 40% of the waivers from compliance with the ObamaCare mandates. This “thing” isn’t supposed to take effect until 2014, why do these unions need waivers now and for what and why are they getting 40%? 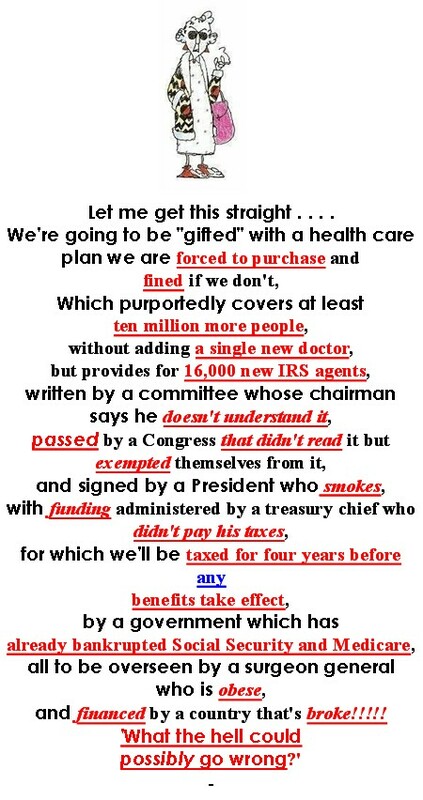 Yet another gross example of hypocrisy and malfeasance by Obama and his associates! Hopefully the new members of Congress and the Blue Dogs of the Senate will join together to stop all funding and implementation of ObamaCare and repeal it in it’s entirety as soon as possible. At what point will the Democrats realize how flawed and defective this abomination is and move to kill it? And no; it’s not too big to kill -- we killed the 18th Amendment didn’t we! Just more hope and change we've grown to expect. An official in Bolivia wants to boost agricultural production, saying a crisis is imminent. The article describes the food shortage in multiple countries around the world. The food shortages throughout the world are well known. The causes are typically population growth, mismanagement of agriculture resources, drought and pestilence. Now however it is compounded by the malfeasance of Obama’s answer to world-wide food shortages. Obama is not only continuing mandating the burning of 10% corn-alcohol (Ethanol) in our cars but he is increasing that mandate to 15% while at the same time banning and reducing our oil and coal domestic production. And his excuse is: he’s saving the world from Global Warming! To add insult to injury agriculture is one of our few major US exports. Obama’s “Ethanol is in; Food is Out” starvation policies. What an incredible example of 1984 Doublespeak! Free? Mubarak was removed by a Military coup and Egypt is now under marshal law and military rule. What’s free about that? Apparently many people, including Obama, are elated by the concept of violent mobs in the streets forcing regime change. 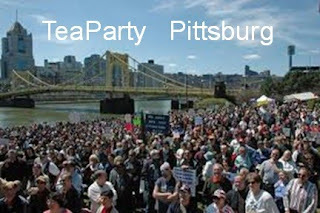 The TeaParty had lots more folks in the streets of the US in 2010 than people in Cairo but they were quiet and peaceful. Perhaps they have just been given a lesson in how to really make change happen. 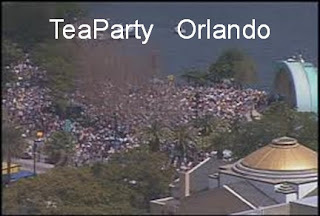 The only visible organization in the streets was the Muslim Brotherhood. Remember them? They infiltrated the Egyptian Army in 1981 and during a military review ceremony they stopped their military vehicles in front of the reviewing stand and killed President Anwar Sadat (Jimmy Carter’s friend) and many others. Those who think the Muslim Brotherhood are really nice folks should watch the video of just how violent they were and operating as part of an Army unit too. This week Obama’s Director of National Intelligence James Clapper testified that the Muslim Brotherhood in Egypt was mostly a "secular" group. Apparently this jerk is cut from the same Hijab Cloth as Janet Napolitano. And to think these are the people Obama has assigned to ensure our national safety! 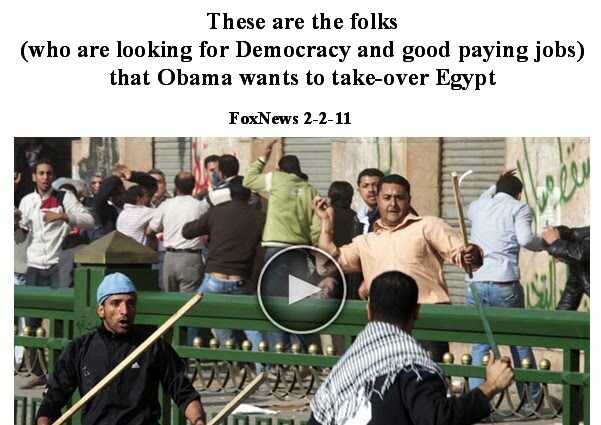 As the Egyptian story unfolds it looks a lot like the take over by Radical Muslims of Tehran and then all of Iran. It was just those pesky college kids who overran our Embassy and held our people prisoner for over a year. Who would have guessed they were key members of the Republican Guards? They just looked like hyper- active college kids to Jimmy Carter and associates. IF Egypt joins the ranks of Iran and Syria there will surly be another major Mideast war and this will certainly be a nuclear war because there is no way Israel can defend itself against such overwhelming force without using tactical nuclear weapons. But rejoice people because The Roanoke Times has declared that EGYPT IS FREE! World leaders standing tall against Domestic Radical Muslims: Cameron and Merkel and then there’s Obama; apparently two out of three get it! “ Cameron told the annual Munich Security Conference that European governments have been too tolerant of some sectors of society that publicly oppose democracy or reject equal rights for all. "We have even tolerated these segregated communities behaving in ways that run counter to our values," Cameron said. "We have encouraged different cultures to live separate lives, apart from each other and the mainstream." What a breath of fresh air coming from one of the most “politically correct” western leaders. Apparently Obama is the only one of the top three who cannot bring himself to address this issue in a real, open and realistic manner. What a disappointment – it’s no wonder that a significant percentage of the US think he’s a Muslim! Obama: Can You Say “Terrorist”? Obama’s current support for the Muslim Brotherhood in the street fighting and terrorism in Cairo is certainly consistent with his pattern of behavior. What an appropriate and timely message for all immigrants for all time! Both of my parents complied with every element of Teddy's proclamation. SuperBowl Sunday 2011 is an excellent venue to replay the 1984 Apple advertisement video showing the protesting enslaved young woman throwing a hammer through the movie screen, in a stark reference to the book 1984. She certainly would be in todays TeaParty! Given the level of authoritarian arrogance and national socialization that Obama and his associates have shown toward the American People over the past two years this Apple Ad should become the hallmark of the TeaParty movement. The epitome of the hypocrisy of Obama's Hope & Change was highlighted by VP Biden this week when he told the millions of long-term unemployed Americans to “Just Hang in There”! What a pathetic spectacle and sad sack excuse for a VP. And to think that the entire liberal media attacked Gov. Palin as not being qualified to be a VP! Roanoke Times,2/3/11, Pg 1 & 3: Tiny little print bottom Pa 1: Senate Republicans forcing a vote on health care. The US Senate voted 47 to 51 to uphold the most sweeping socialistic intrusive government program in our lifetime and the Editors of the Roanoke Times join their associates at the Washington Post who also couldn’t bring themselves to print these numbers on the front page. 47 to 51, a stark lack of confidence and support by Reid’s US Senate. The “New Improved” US Congress voted 245 to 189 to repeal and kill this badly flawed program. These votes are clearly a lack of commitment by the leadership of the country to proceed on this course. Also Virginia’s Federal Court challenge to ObamaCare was upheld as was the court challenge in Florida by 26 State Governments. At what point will Obama, Democrats and their associates come to realize that this massive incomprehensible act should be killed and a new bill be developed that is acceptable to the majority of people who are personally and significantly impacted by it? How can Obama and associates talk about foreign arrogant leaders when they are behaving so incredibly arrogant themselves? The people now have a clear understanding who their problem representatives are that are giving them the proverbial finger. 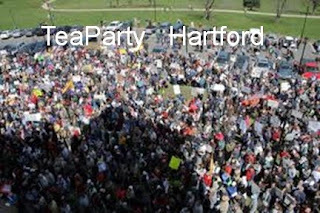 The people can and will go to the 2012 polls with the same resolve that they showed in 2010 and change will happen again. "A Particular group of people, identified as the intended recipient of an advertisement or message. Also called a target population." And the message will clearly be CHANGE. The arrogance of the Obama-Pelosi-Reid team has been rejected by the American People! Roanoke Times, 1-31-11, Pg 11: Professor (Ed. Lynch) misunderstands science by Prof Belleville. My communication with Prof Belleville indicates he is not pleased with the heading assigned to his commentary article and he also doesn’t understand how folks like me became AGW (man-caused global warming) Skeptics and why I’m still a Skeptic after all the information that’s available from the Gore-AGW-Alarmist community. Hopefully others might peruse this summary and then compare their experiences to mine and perhaps rethink their views and assumptions about the AGW-Hypothesis and the draconian government action the Alarmists have proposed. Large crowds in the capital and other major cities. People of all ages, parties and stations in life protesting their government. Accusing their leader of violating the Constitution. Chanting that change must come for the Countries sake. Accusing the leader of not representing the people. Accusing the leader of not providing jobs and opportunity. Telling the leader not to run for reelection again. Telling the leader he is moving the country in the wrong direction. Imploring the nation to embrace another direction and another leader now. There: Cairo: Crowds of the dubious and unknown composition and objectives. There: The US Major Media embraced the people in the streets of Cairo. ------- Obama assured the Egyptian people that their wishes would be implemented. 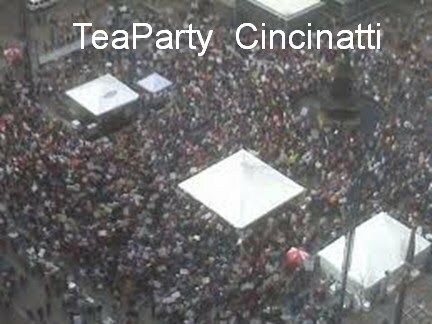 Here: The US Major Media mocked and belittled the people in the streets of America. 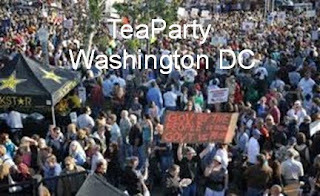 ------- Obama labeled the people in the streets of America as radicals and UnAmerican. WHAT A DIFFERENCE 5,000 MILES MAKES! WHAT AN EXAMPLE OF BLATANT LIBERAL HYPOCRISY!